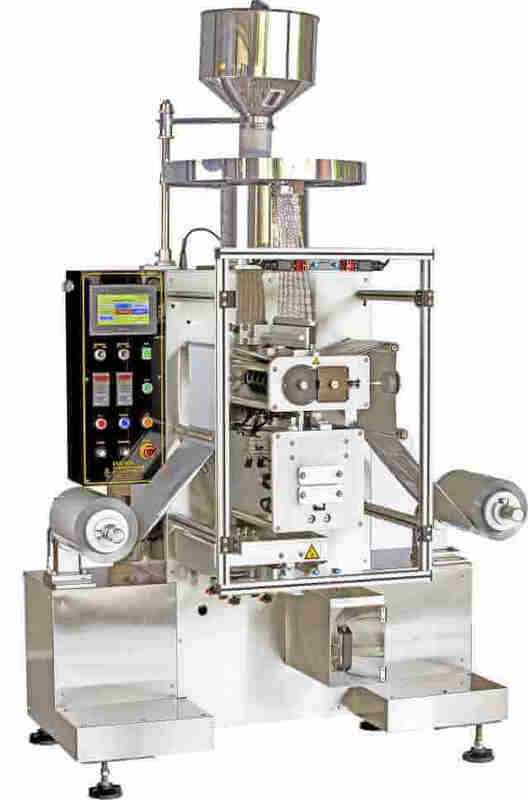 The KDS-800 is designed to package solid products in strips pocket for higher level preservation requirement. By higher level Aluminum laminate material , double side aluminum film sealing technology successfully isolate oxygen and humidity, compare with blister pack machine KDS-800 obviously over blister pack machine present high quality level. 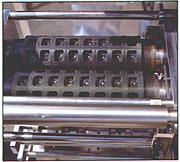 This machine can be used in any heat seal material. Products are sealed within pockets formed by two moving film, through two sealing roller makes seal around the thick layer strip pockets thus products shelf life can be lasted longer. Miss Feeding Reject System , Cutter to final product (see Flow Chart). It is suitable for Pharmaceutical / Food / Nutrition / Health Care / Chemical industry ….etc. 1. Compact size with all function and fast production. 2. 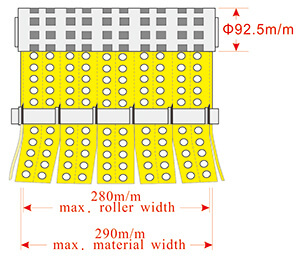 Used two roller sealing make around the pockets form a hermetic seal thus offering maximum shelf life to the product contained within strip pocket. 3. Higher level Aluminum laminate material , more thick double side aluminum film sealing technology successfully isolate oxygen and humidity. 4. It is very easy to exchange all the size change parts. It takes less than 30 minutes to finish. 5. Main frame is covered with stainless steel. Easy clean. 6. Apply to cGPM & PIC/S GMP standard. 7. 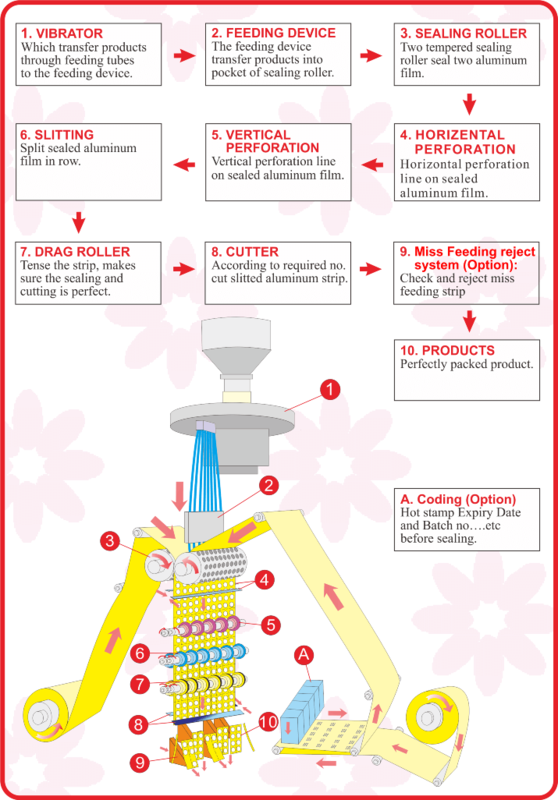 Automatic feeding, Sealing, Perforation ,Slitting and Cutting are done simultaneously. Therefore, its efficiency is high, meaning production cost is decreased due to reduction of labor cost. 8. Compact and constructed simply, the machine can be maintained easily, operates with low noise. 9. 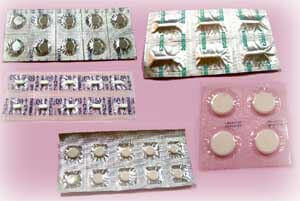 When packing operation is completed, the product shall be absolutely sealed and beautifully looked at. This certainly improve the quality of the product. 10. User friendly design operators are getting operation on hand easily. 11. 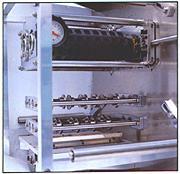 With precise PID temperature control system successfully control roller in required working temperature. 12. Adjustable cutting selection set up row cutting line (1~99). 13. Unique slitting and cutting device make a beautiful appearance on strip cutting edge.